When Father Bill Galvin joined the Maryknoll Fathers in 1955, he wanted to be a missionary in China. But it wasn’t until 1999 that he finally arrived in the mainland Asian country, after assignments in the Philippines, Nepal and the Holy Land. The Queens-born missionary was home recently for some medical tests but he hopes to return to China soon. We caught up with him at the headquarters of Maryknoll in Ossining where we talked about the Church in China but also about growing up in Our Lady Queen of Martyrs (OLQM) parish, Forest Hills, and the influence of the Christian Brothers who taught him at Bishop Loughlin M.H.S. in Brooklyn. “All my life I will be grateful to the Christian Brothers. I was really inspired by them,” said the 86-year-old missionary. He went to OLQM elementary school before earning a scholarship to Loughlin. He recalled that Msgr. Joseph McLaughlin founded Our Lady Queen of Martyrs and that the first Masses were celebrated in an old movie theater before the beautiful cathedral-like church was built on Queens Blvd. While at Loughlin, he was a member of the swimming team and wrote sports for the Jamesonian, the school newspaper. He said that the school’s outstanding track program would get all the publicity, so he made sure the swimmers got their share of ink. He also assisted Tablet sports columnist Jack Butler by calling in the team scores. And to be make sure those scores were read, he had his own Tablet delivery route of about 30 papers. 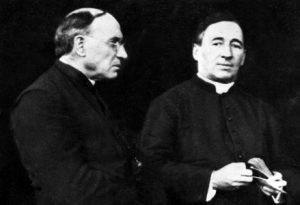 Father Galvin learned about Maryknoll when a member of the order came to the parish to preach one Sunday and he expressed interest. While at Loughlin, another Maryknoller visited the classroom and his name was still on the recruiter’s list. After listening to Msgr. Fulton J. Sheen preach on a Good Friday in Manhattan and then spending a few quiet days with a friend in Pennsylvania, he made up his mind to forego Manhattan College and sign up with Maryknoll. In China, he taught English at the college level, and also has taught in the seminary. He says the students there are extremely receptive to learning and there are no discipline problems. In fact, he says the Church is growing in China. Reports of two Christian churches in China – the Patriotic Church and an Underground Church – are misleading, he claims, and that there is only one Church in China. Chinese Catholics are as loyal to the pope as any other group, according to Father Galvin. The fact that Pope Francis has made no episcopal appointments to the mainland China may be a sign that the Vatican and the Chinese government may be working on a peaceful path of cooperation in the future. Father Galvin recalls a visit by Bishop Nicholas DiMarzio a few years ago when he was there to see Father John Vesey, a Brooklyn priest who spent 10 years with Maryknoll in China. 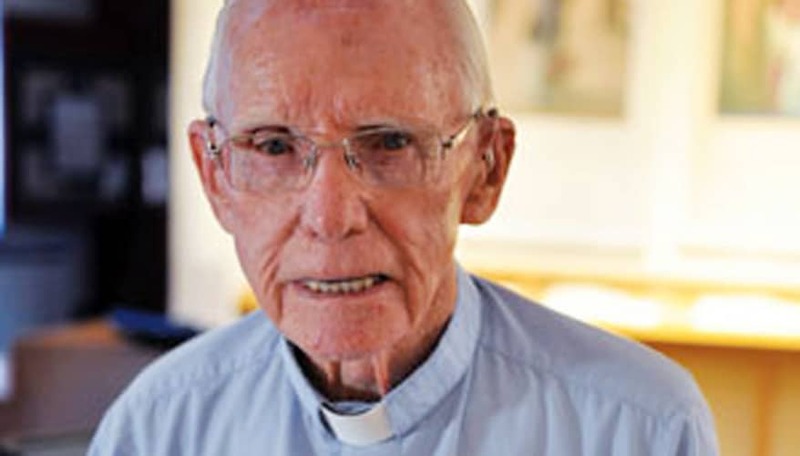 He’s proud of the Maryknoll tradition in China and speaks affectionately of Bishop Francis X. Ford, who died in 1951 in a prison camp shortly after the Communist revolution. Turning again to his education, Father Galvin says, “Loughlin will always be an essential part of me.” He stays in touch with Brother Dennis Cronin, F.S.C., president, and John Klemm of the Alumni Association and he’s proud that the school continues to provide a first rate education to young men from Brooklyn. With his eyes set on a return to China, Father Galvin’s roots are staunchly planted in his home diocese in Brooklyn and Queens. Ed Wilkinson is Editor of The Tablet and News Director of the Currents daily news show on NET TV. He has been a member of The Tablet’s staff for 44 years. He received a B.A. in Philosophy from Cathedral College and studied theology for a year at Immaculate Conception Seminary in Huntington, N.Y. He is an active parishioner at Our Lady of Angels parish in Bay Ridge, Brooklyn.